We have undertaken many home projects now, at the beginning of our first home-owning experience. Some are large, some are small, but each addresses some feature of the house which we considered unacceptable. 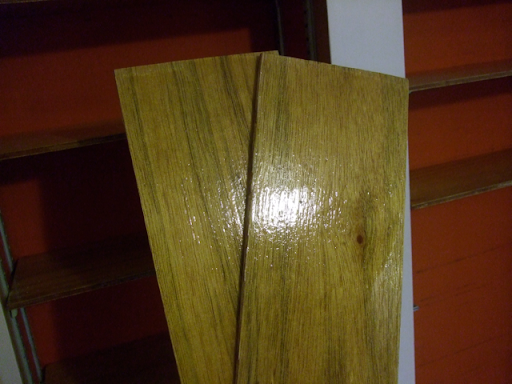 One of those was the shelves in the spice cabinet, which were perfectly sturdy painted hardwood, but were last painted decades ago and had gotten unattractively dingy. I mean, very dingy indeed. Instead of painting them, I cut and finished new boards. This allowed me to increase the total number of shelves from eight to twelve, and also to end up with a finished wood look. I just used a thin ply wood, but they still look nice. They feel smooth and easy to clean, and now I don't mind touching them. 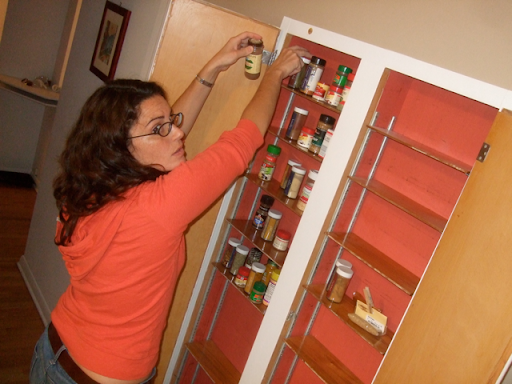 Today Ashleigh and I moved into our spice cabinets, finally taking our spices out of the box we moved them in.